We know by now, that the golden jackal is an effective coloniser. Only last week, records from Austria confirmed multiple individuals, which could be one of the first jackal families in the country. Yesterday there was more good news, this time from France. The NGO Ferus reports that over the last months, camera traps have photographed a golden jackal twice in France. The University of Geneva confirmed the identification, the NGO expects results from the ONCFS soon. While the authorities do not reveal the exact location, the cameras photographed the jackals in the Chablais region. This region lies in the Western Alps, close to Switzerland. It is well possible that the individuals originated from Switzerland. There, people have recorded the jackals for the past years on multiple occasions. 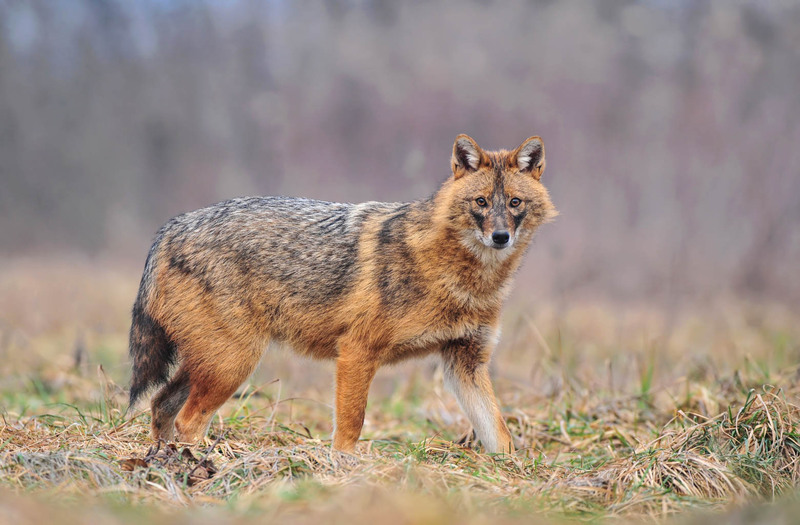 Currently, the golden jackal is not a protected species is France. However, it is not listed as game. Hunting golden jackals is therefore not possible. As jackals prefer warmer regions without much snow, it is only a matter of time before we will find jackals in other parts of France. Thank you for your comment. People should never feed wild animals such as the golden jackal. Individuals can become habituated to humans, which could potentially lead to dangerous situations, most likely resulting in the killing of this individual. Golden jackals are one of the best adapting canids, they do not need to be fed by humans in order to survive. I have a friend who has insisted that she has a jackal as a regular visitor to her home in Callas just off the D562 about midway between Grasse and DRAGUIGNAN. She regularly feeds the sanglier who will get close to humans watching from the terrace, about 4 meters for the adults and a little closer for the babies. And the availability of food has probably been a factor in this repeated siting. I was sure there were no jackals in France but now I have read your article and others.